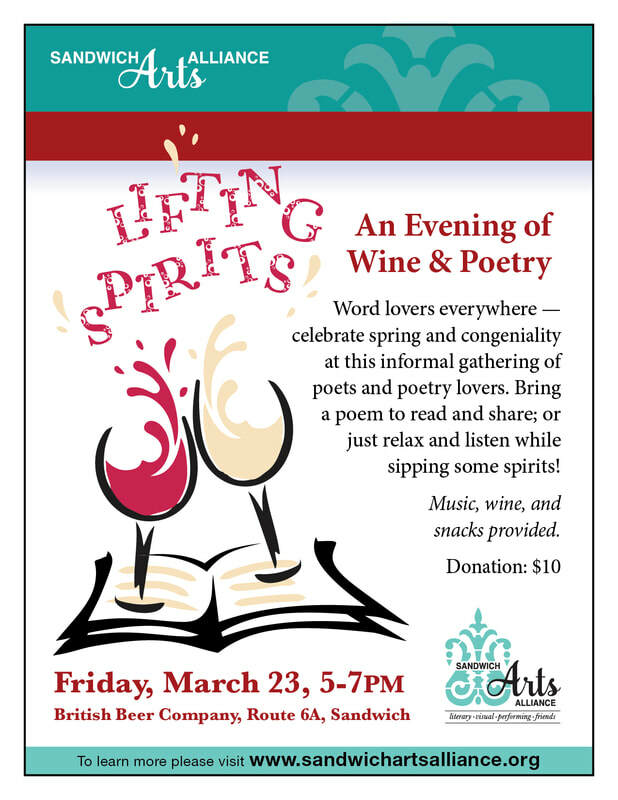 The Sandwich Arts Alliance hosts "Lifting Spirits - An Evening of Wine & Poetry" in celebration of spring, word lovers everywhere, and congeniality! National Poetry Month is April, but the Literary Arts group of the Alliance will jump-start the event by bringing together poets and poetry lovers to read original work or old favorites, sip some spirits, and revel in the joy that finding " just the right word" can bring. Join with friends old and new; bring a poem to read and share; or just relax and listen. This is a very informal gathering focused on wonderful poems and good cheer. at the . Music, wine, and snacks provided. Donation $10.